Thread: Does this still count as a Telluride? So, I wanted to finally share my "Telluride LT" build now that I'm getting back onto RC forums, but I'm not really sure if its even a Telluride anymore. 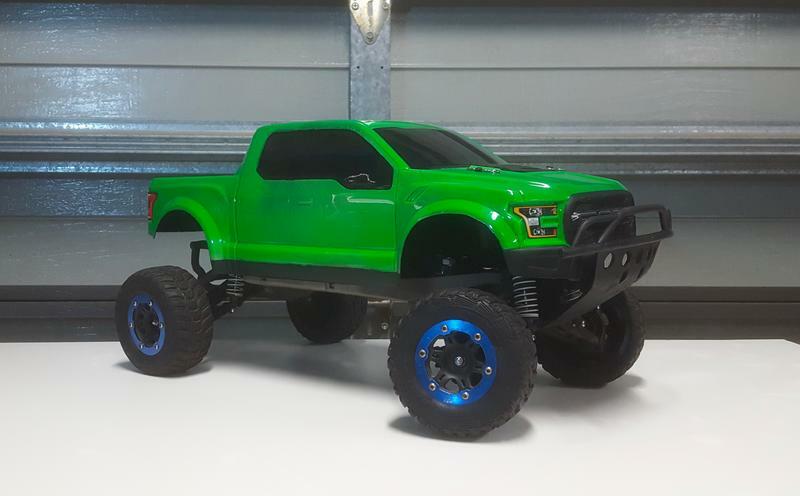 I bought it box stock 4 years ago, but since then I've replaced a lot of parts on it, including the grey chassis with a Slash 4x4 chassis for a longer wheelbase. So would that technically classify it as a Slash 4x4, despite the fact it's still a Telluride based trail truck? Since the only major difference between the Telluride and the Slash is the chassis. Yeah I would say it is a Slash now but only because it would be easier. WOW. That is beautiful. Seems like a rustl4r with a slash4r chassis. Looks very aggressive for a trail truck. Just wow on the looks of that.